Travelers Insurance is partnering with Notion to provide customers with Internet of Things sensors to minimize and prevent damage to homes by automatically reporting problems. Like many consumers, I tend to be automatically suspicious of insurance companies’ plans to track my behavior. And like many tech journalists, I’m also skeptical of clever new smart home automation schemes. But painful personal experience has me all excited about a new pilot program involving Travelers insurance and Notion smart home sensors. 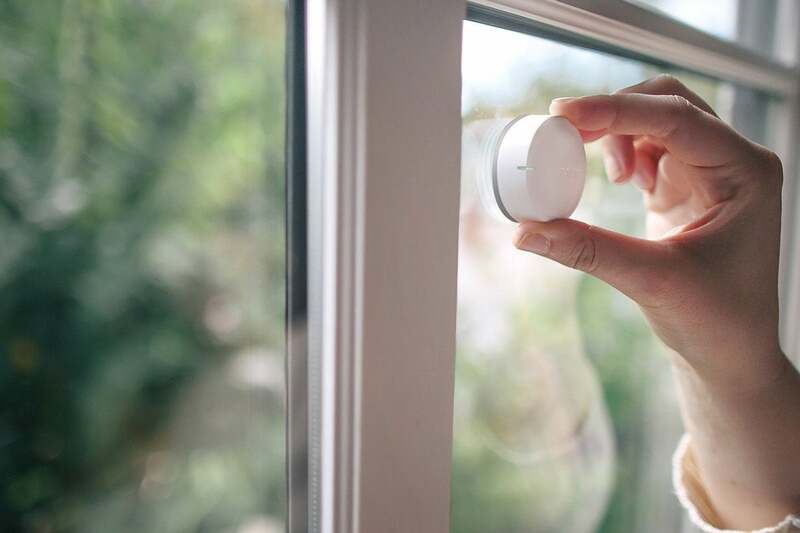 “Travelers has tapped Notion, the home awareness solution and smart home sensor, to offer smart home monitoring systems to Travelers customers in California. Travelers is working with Notion to provide data-driven insights to customers through Notion’s home monitoring system in order to prevent and mitigate threats such as water leaks, fire damage, and thefts. I am 100 percent on board with this idea. As someone who lives in a 120-year-old not-so-smart-home, I can confidently state that this technology could have saved both my family and my home insurance company tens of thousands of dollars. A couple years ago, you see, my dishwasher went crazy and started pumping gallon after gallon of water out into the kitchen and then through the floor into my downstairs bedroom. Unfortunately, I had started the dishwasher’s cleaning cycle as I was heading out the door, and no one noticed the problem for hours. By the time someone realized what was happening, the damage was done. Cleaning up the mess, drying everything out, and dealing with water damage to floors, carpets, walls, furniture, and household items took weeks of heaters and fans followed by demolition of the waterlogged areas. And that doesn’t even address the reconstruction. Incredibly, while repairing the actual damage took months of unpleasant work, dealing with my insurance company’s hardball negotiating and endless paperwork was almost worse — and took even longer. A simple moisture sensor in the right place could have stopped all the problems before they got out of hand. At the very least, it could have alerted us to the problem so we would have dealt with it faster. Even better, it could have automatically turned off the water or contacted a remote security agency to address the problem. That would have saved money and headaches for everyone. Even the dishwasher manufacturer, which was eventually stuck with much of the bill, would have been better off. Sure, a single incident hardly proves that this kind of technology would be commercially viable. But I know at least four other families who have survived similar — or much worse — “disasters” that could have been prevented with the right IoT technology. Still anecdotal evidence, to be sure, but it's hard to ignore when you’re standing on your soaked bedroom carpeting. If and when this technology becomes generally available, this is one IoT solution that I’d be more than willing to buy for my house, especially if the insurance company was smart enough to help cover the cost. As I’ve written before, though, while insurance companies often express interest in gathering and using IoT data, they don’t have a great track record of actually using the data. While as of mid-August MindHome’s website was still “under construction,” it’s clear that at least some forward-looking insurance companies and technology vendors are paying attention to this opportunity.